APCCI offers a full spectrum of offset, sheet-fed, web, digital, and flexography printing of brochures, postcards, POS hangers, letterhead, envelopes, paper cards, and more. 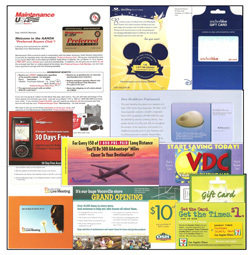 APCCI provides a one stop print solution for direct mail campains or on-demand mailings. Add a card or a magnet, and add confidence that your mail piece will represent the best possible color match between all components, one house, one solution!